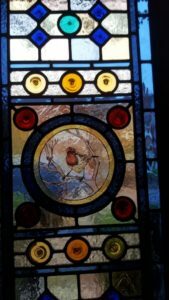 Coriander Stained Glass – The Natural History Museum renovation and repairs completed! We have concluded our very exciting stained glass renovation project and at The Natural History Museum. 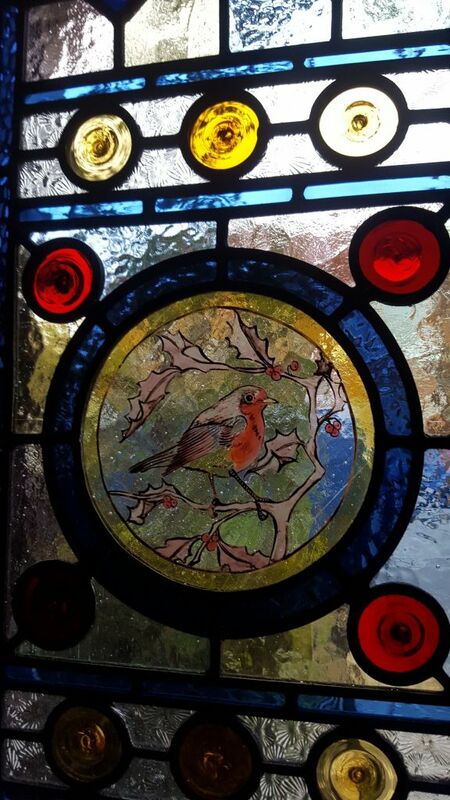 Coriander Stained Glass – The 1st, 2nd and 3rd generations out of 5 of the Lifford family in glass! I am Georgie Lifford, daughter of the owner of Coriander Stained Glass. This week, we have this lovely recent project to show you. 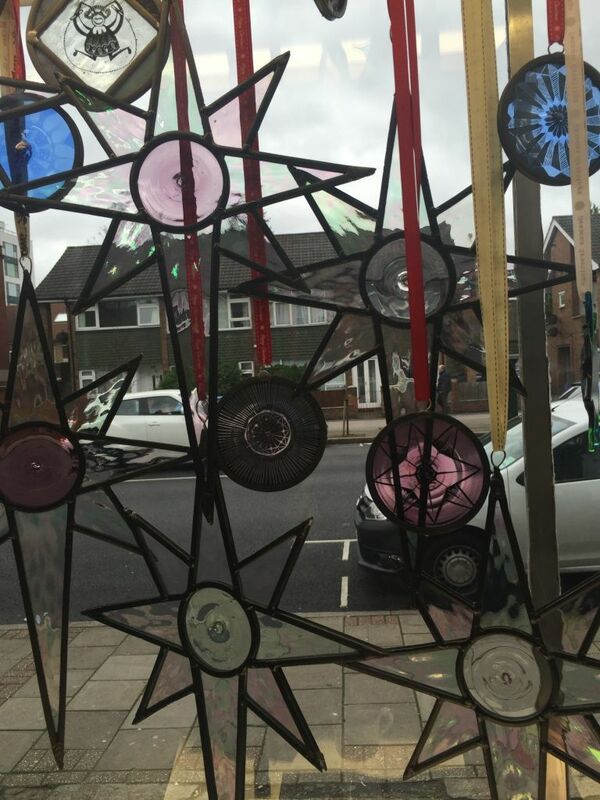 This is a set of 7 stained glass panels fitted this week in Hanwell, West London. 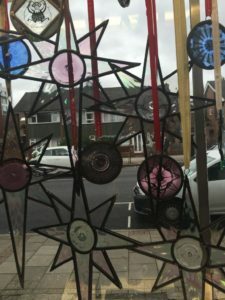 The last day that the Coriander Stained Glass will be open will be the 22nd of December and will be re-opening on the 4th of January. 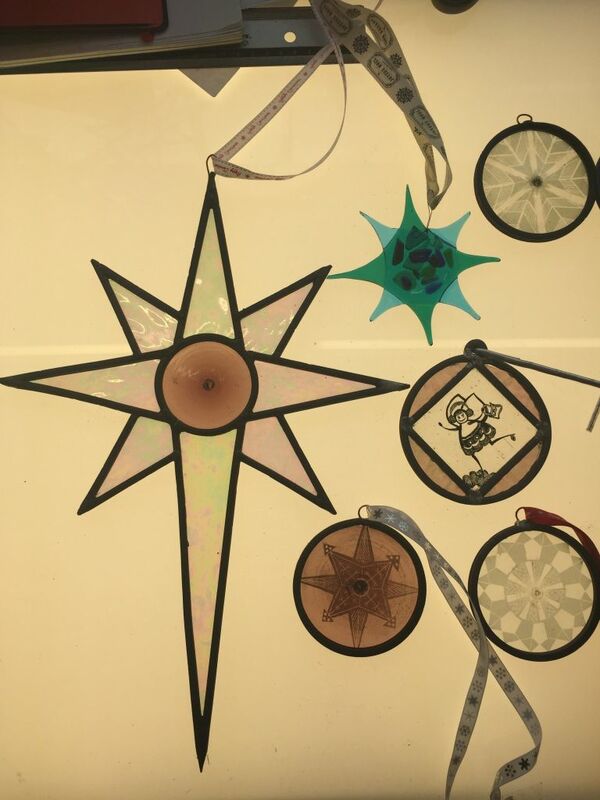 The 22nd will be your last day to buy our beautiful Christmas decorations, so if you have not already, come and take a look at the unique selection! 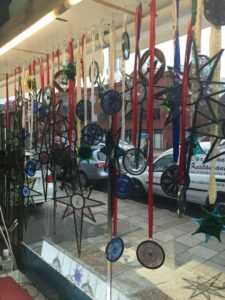 This has been our first year of selling Christmas decorations, and it has been very successful. Thank you to all of our customers that have bought any. Jeremy will be available between Christmas and New Year to answer any inquiries. 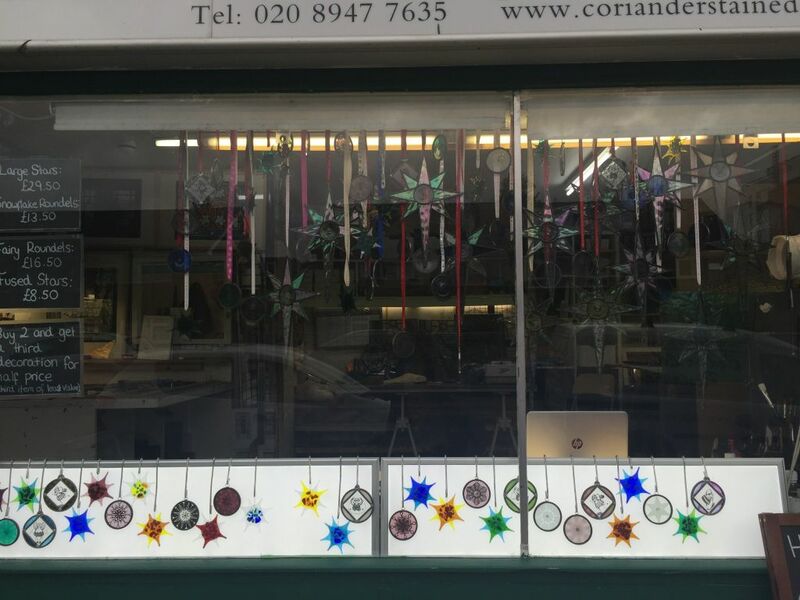 From all of us here at Coriander Stained Glass, we wish you a very Merry Christmas and a happy New Year. Coriander Stained Glass – Handmade Stained Glass Christmas Decorations! 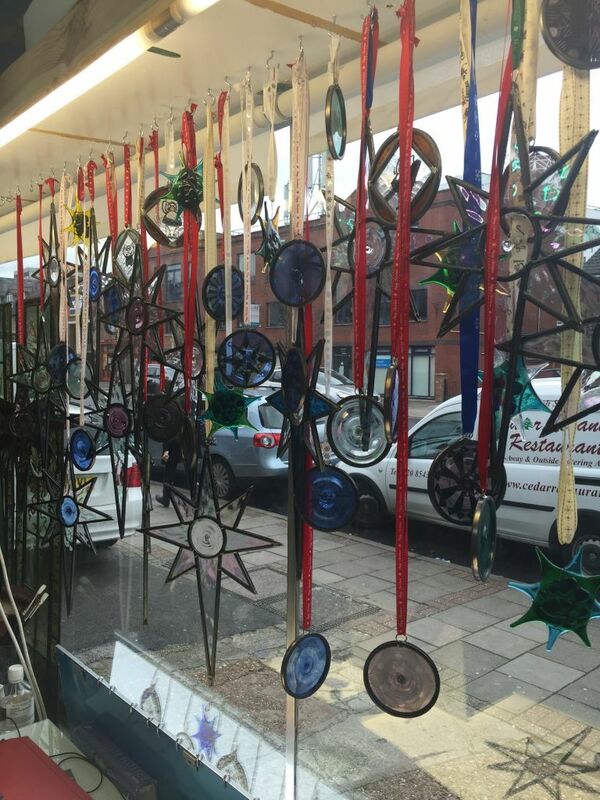 Here at Coriander Stained Glass, we have made some Christmas decorations. Our beautiful designs are all handmade and unique and you will not find them anywhere else. 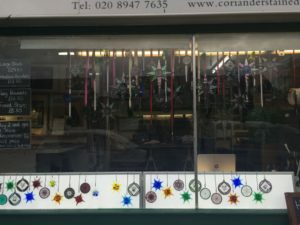 The decorations on offer include: large stars (at £29.50), fairy roundels (at £16.50), snowflake roundels (at £13.50) and small fused stars (at £8.50). No design is the same as another, therefore if you buy anything it would be completely unique! 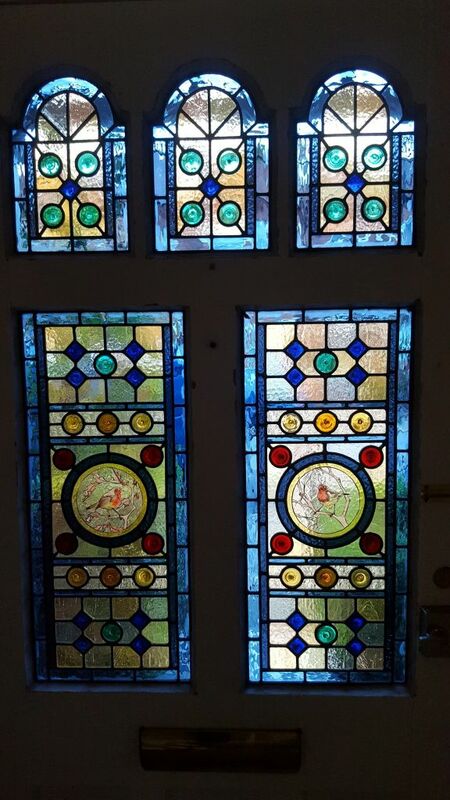 Recently, Coriander Stained Glass has been in Chiswick working on a beautiful 5 panel front door, it is of traditional Victorian geometric design, however, it uses blue bordering instead of the usual tradition of red and clear bordering. 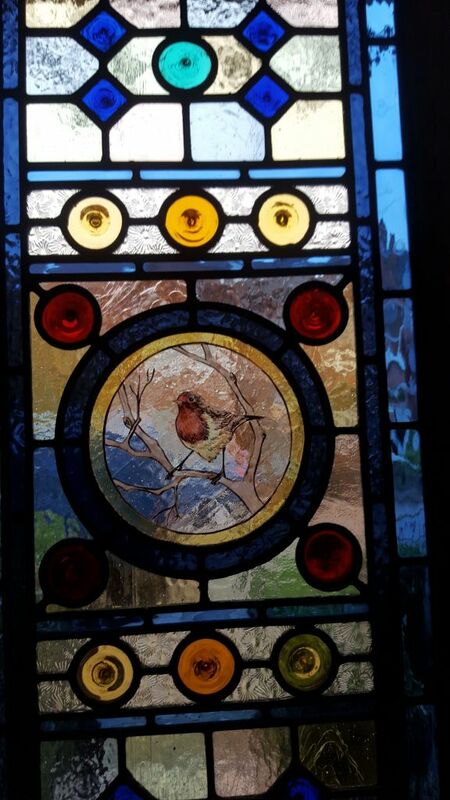 We also have two hand painted and kilned robins at the centre of the main panels in this stained glass window. 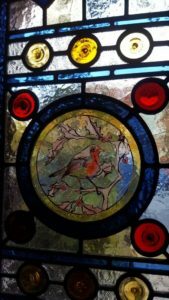 These robins provide the central features for the main panels with the rest of the glass colours and textures broadly traditional. These details have created an amazing unique front door for this home in Chiswick. 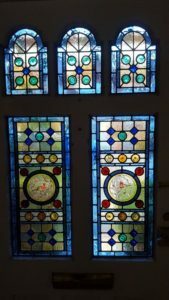 To view more of our Victorian Stained Glass, head over to our Victorian Stained Glass page and take a look at some of our lovely projects!